[New York, NY – February 29, 2016] - Grammy Award winning recording artists, ANTHONY HAMILTON and FANTASIA are excited to announce their spring 2016 co-headlining tour. Kicking off April 21st at Shea’s Buffalo Theatre in Buffalo, NY, the four-week tour will hit major cities including Chicago, New York, Washington, D.C, Los Angeles and more. Tickets will go on sale March 4th at Ticketmaster.com. See below for tour routing. More tour dates will be announced. A - Denotes Anthony Hamilton closes show. F - Denotes Fantasia closes show. 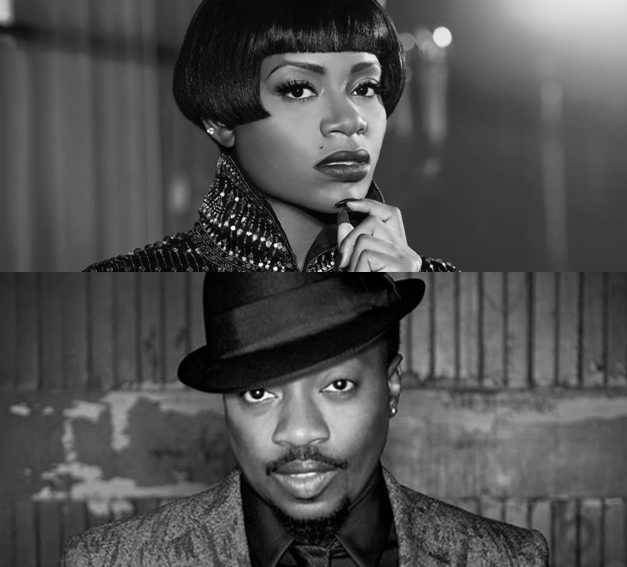 Grammy Award winning musician Anthony Hamilton has collaborated with a bevy of artists including Nas, Rick Ross, Carlos Santana, Jill Scott, Tupac, and Al Green to name a few. Most recently, the renowned soul singer performed for President Barack Obama with Grammy nominated songstress Andra Day for the Smithsonian Salutes Ray Charles: In Performance at the White House. In addition to his multiple chart-topping albums and singles, Hamilton has been praised by a plethora of outlets including The New York Times, USA Today, Rolling Stone, Entertainment Weekly, ESSENCE, NPR and Billboard, among others. On March 25th, Hamilton will release his fifth studio album, What I'm Feelin' via RCA Records, which will include the hit single "Amen". In 2004, the High Point, North Carolina native became the season three winner of Fox’s American Idol. Later that year, Fantasia released her platinum-selling debut album Free Yourself and became the first artist in the history of the Billboard Hot 100 chart to debut at #1 with her first single, “I Believe." Fantasia’s second single, “Truth Is,” spent 14 weeks at #1, making her the first singer to simultaneously have two of the top three songs on the Billboard chart. Fantasia’s 2006 eponymous second album featured the #1 R&B single, “When I See U,” and reached gold status. In 2010, Fantasia released the critically acclaimed Back To Me, which featured the hit single “Bittersweet” that earned her first ever Grammy Award for Best Female R&B Vocal Performance and a NAACP Image Award for Outstanding Song. Back To Me debuted at #1 on the Billboard R&B Albums chart, #2 on Billboard’s Top 200 Albums chart, and not only marked Fantasia’s first #1 R&B album but also her highest Billboard Top 200 chart ranking. In 2013, Fantasia released her fourth studio album, Side Effects of You which debuted at #1 on the Billboard R&B Albums Chart and #2 on the Billboard Top 200, marking her second consecutive positions on these charts.